What is Embossing? 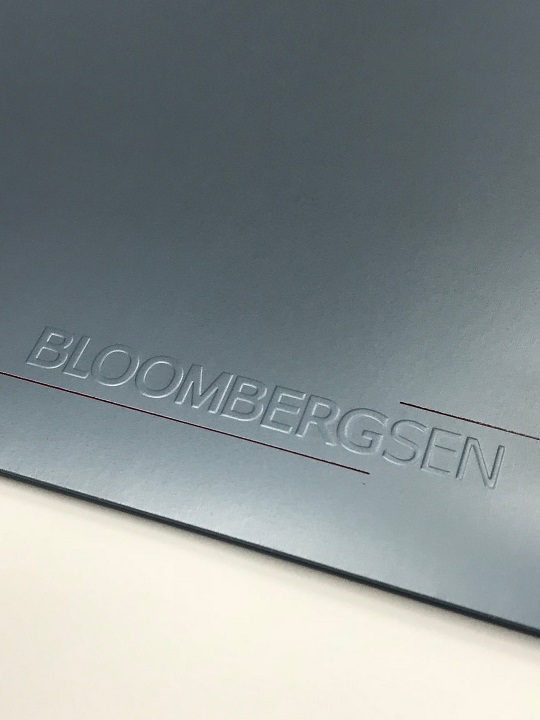 Embossing is the process of using male and female etched dies (typically made of magnesium, brass or copper) and heat to raise or push letters or a design above the surface of a sheet of paper; it creates an eye-catching three-dimensional effect. 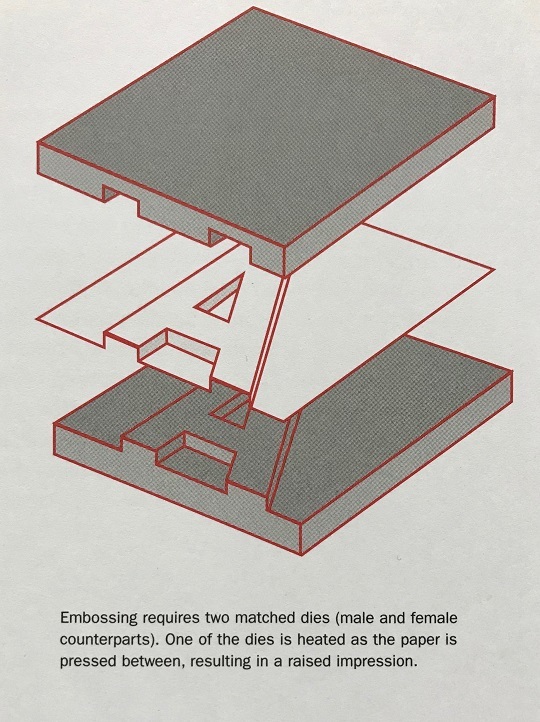 The embossing die is made with a reversed image of the design. When this process creates an indented image, it is known as debossing. Computer controlled milling machines or hand sculpted engraving are used to convert the graphic image to the metal embossing die. A good example of embossing that many of us have seen (and felt) is a notarized document. 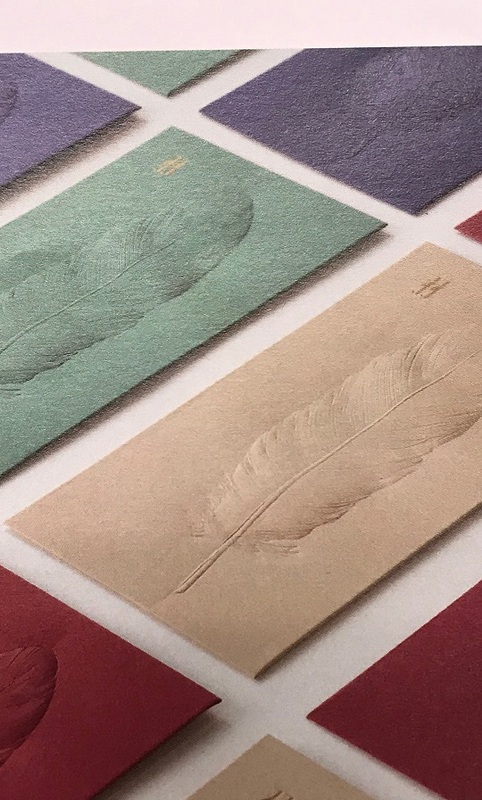 Embossed printing pieces can be used without ink or foil (known as blind embossing), or with ink or foil such as gold, silver or many other colours, adding another distinctive and visually appealing element to the embossed piece. Many elements and images in your design can be embossed, including text. Embossed pieces use a detailed die and heavier paper stock to highlight the depth and detail of the embossed graphics or images. Aslo, with the addition of coloured metallic foil stamping, the emboss really stands out, both literally and visually. It is a great way to draw out and highlight important details, such as names, designs, or logos. Embossing is an elegant way to add a unique look and feel to your marketing piece. Considering how many pieces of mail, business cards and other printed materials your target audience gets each day and at every tradeshow and convention, this special touch can make all the difference in your piece getting noticed. Embossed business card can make a lasting impression. Letters that cross over from page to page will get cut off and not line up, images with specific detail will suffer the same fate. Some printers are better than others, but the onus is on us as designers to make it look its best.